Darling Mfg. home on 4.26 ac. m/l, Gainesville Mo., 1.5 miles off paved Hwy 201 North. 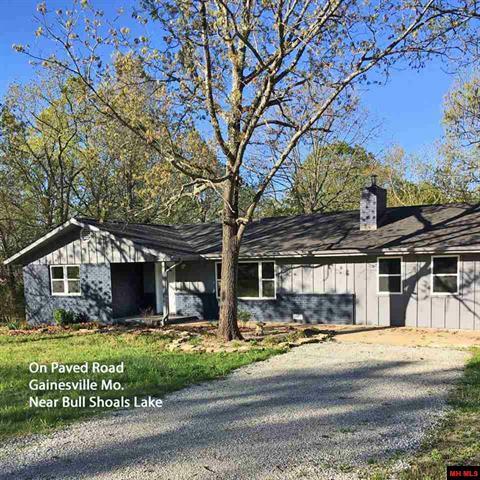 Near Bull Shoals Lake with no restrictions, this setting is peaceful w/tall trees & natural landscape, 3 beds, 2 baths, Formal Living room, Dining Room and the Family Room features a stunning picture window and nice wood burn fireplace. The spacious eat in Kitchenhas a walk in pantry, utility room, and all the appliances stay including the washer dryer! Covered carport & covered front porch to sit & enjoy all that country living offers, priced to sell only $42.00 sq. ft.! 2 miles to Lake Norfork! Fish, swim, boat, enjoy! Near to Gainesville Mo. with school, shopping and medical services. Rustic cabin on 22 wooded Ac, on paved county road south of Mountain Home. Beautiful timber hardwoods & pines. Year-round spring from small cave is only water supply delivered with the aid of an electric pump. 1 room cabin has living/sleeping space, bathroom w/shower & small kitchen. Heated w/propane heater. Chicken coop, garden space, covered storage. 2 miles from Red's Landing pubic boat ramp to White River close to Norfork Lake & Ozark National Forest. Cabin has contents, sold as is where is. Seldom will you find a choice piece of ground like this one located on a paved county road in the Ozark Mountains. This beautiful 38 acres offers so much of what you’ve been looking for. 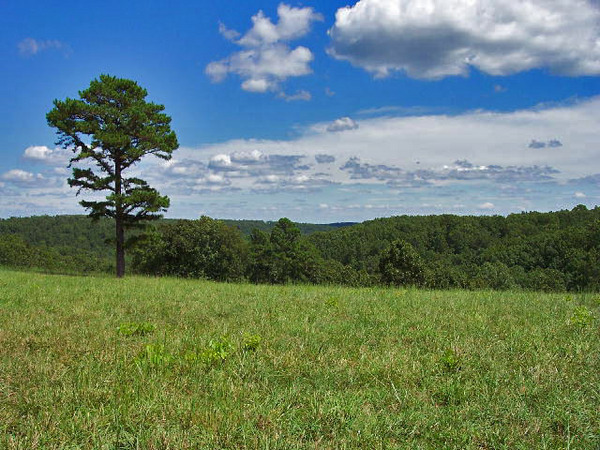 Improved pasture, tall hardwoods, a stocked pond for wildlife or just a spot for day dreaming. Beautiful views, multiple home site possibilities from flat to a gentle roll. Big sky views and only a short drive to Bull Shoals Lake to launch that fishing boat. Deer and wild turkey can be found on this track. Protective covenants in place to protect your investment in a peaceful safe place to build that dream home. 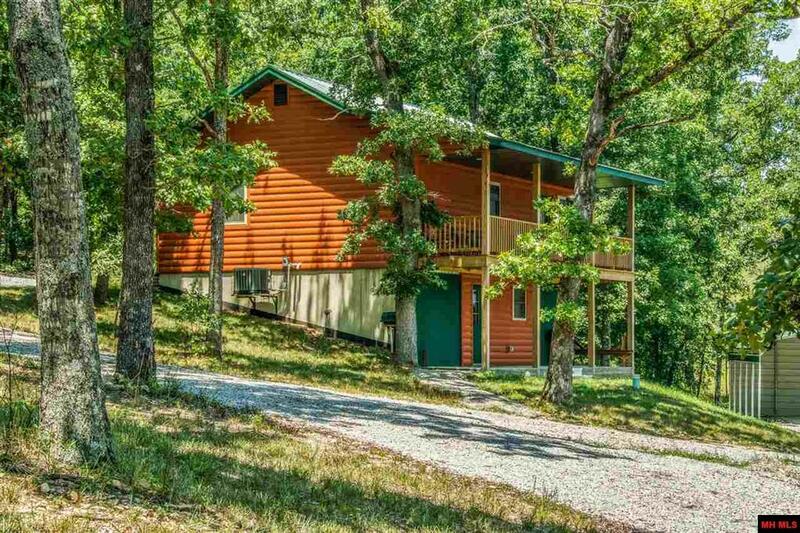 Nestled in the woods near Bull Shoals Lake in Ozark County adjoining the Corps take line, this 2 BD, 1.5 BA, custom-built 1400 sq ft home on 5.38 acres has cent h/a, a fireplace, a wood-burning stove, a steel roof, a covered deck, and no neighbors in sight. There’s a shed, a small barn, and a well house. You can walk down through the woods (which you can hunt) to the lake, or drive there in about 2 min. Use this as your full-time home, or make it your super second home and start thinking about taking more time off work. Hidden in the woods off of Hwy 160 E of Forsyth and Branson, this home is finished on the out-side and being constructed new on the inside. This can be configured in a variety of ways into its final room layout. Many building materials are on hand. The location is proximate to the Mark Twain National Forest, Bull Shoals Lake, and lots of woods, rolling hills, and wildlife. The well and septic system are in and functioning. The 1340 feet would work well for a second home or for a down-sizer retirement home. A new inside will make this like a new house. 8 acres is a small piece in this neighborhood. Good seclusion. Good highway frontage. Half an hour or so from Branson. Many possibilities here. Serviced by White River Valley Electric Cooperative. 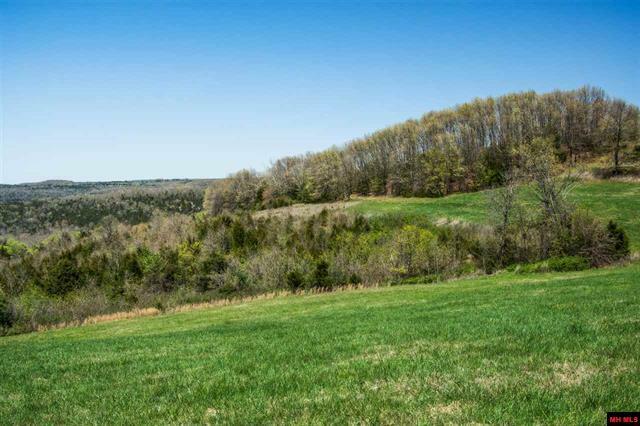 This is a beautiful 10 AC tract of land, 2 homes, 2 shops already for new owners! Live in one and rent the other to pay your mortgage and enjoy the area recreation on Lake Norfork and the White River! Tract#1,16’x76 mobile 3 bedroom. 2 baths, 90x30 metal shop & storm shelter on 5 ac.m/l. Tract #2, 16’x56’ mobile 2 bedrm.1.5 bath, 30x40’ metal shop on 5 ac. m/l. Both homes are clean & good shape, land is level, beautiful w/tall oaks & lots of wild life. Retire to the good life and have a possible income or use them as vacation get a way for yourself or as a family retreat. Only 4.5 miles to Jordan Marina on Lake Norfork with boating, fishing, swiming and scuba. White River nearby as well. Great Location set back from US Hwy 160 in Gainesville, Mo on 2 beautiful acres. Nice paved blacktop circle driveway for easy in/out. Mature trees & easy landscaping. 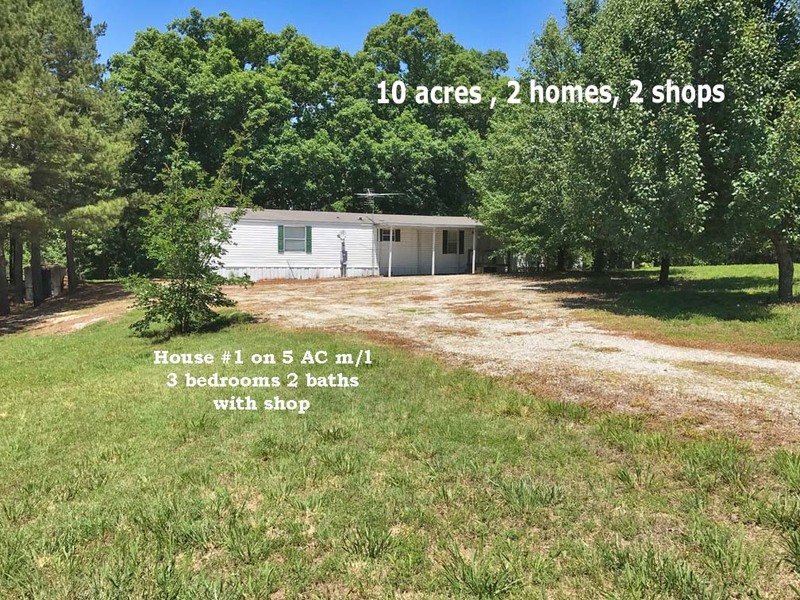 1 level stick built ranch with open floor plan, remodeled kitchen, built in book cases, 4 bed, 2 bath, attached 2 car carport, from Living room is elevated 9x50 concrete deck ½ is covered, detached 1 ½ car garage, Gainesville school dist., near medical & shopping. Additional 5 AC adjoining is available for sale at $9,500.00to be sold with house but not sold seperately. 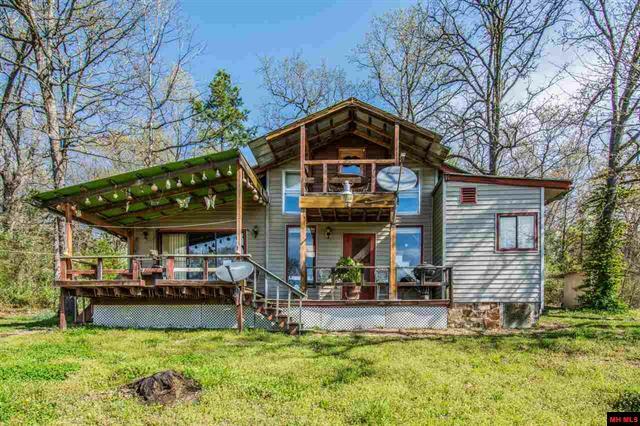 This home is near Lake Norfork a greatplace to swim, fish and boat. Delightful renovation will have you wondering if its new. 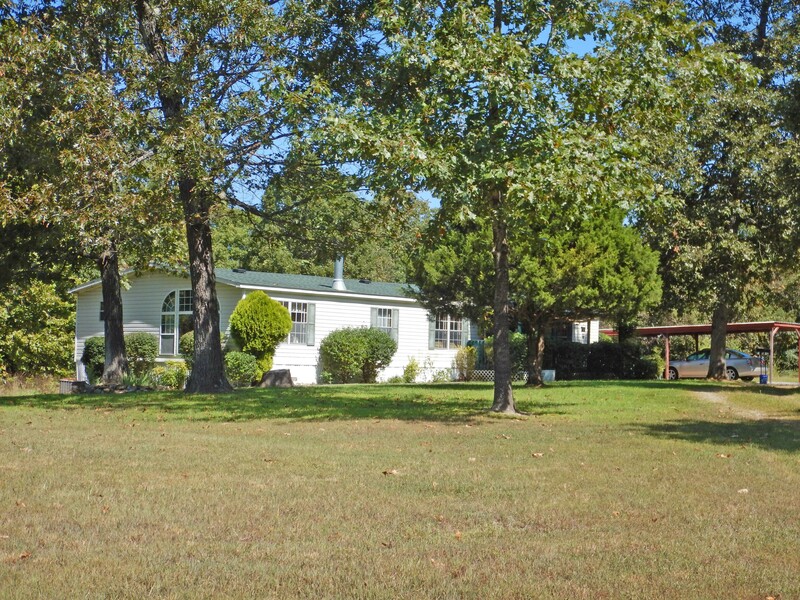 1 level ranch 3 bed 2 bath home on 1.21 ac m/l is located on quiet pavedroad in Gainesville Mo. New 30 yr. architectural shingles, painted inside & out, upscale kit. cab’s, stone quarts counters, stainless appliances., engineered wood flooring & carpet in bedrooms, all new windows! Master is en’suite, large family rm. wood burning FP in Living room. Covered deck with nature views & detached 2 car garage. 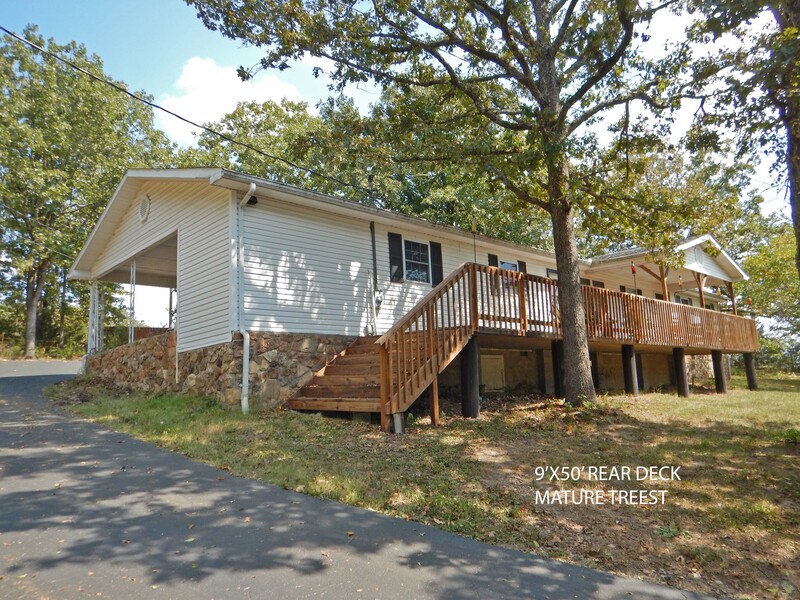 Turn key home, near Bull Shoals lake at only 76.00/sq. ft.
Sweet Country home on paved road near Melbourne, AR. 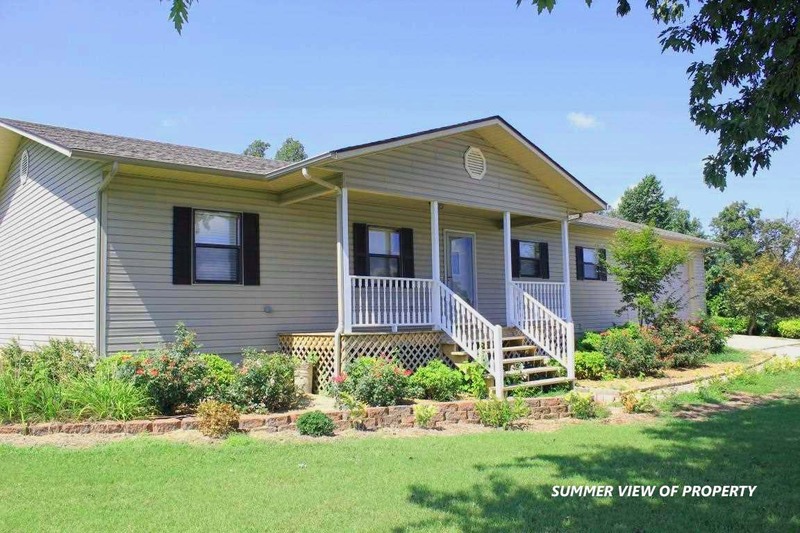 Ranch style home features 3 bedrooms, 2.5 baths all on 2 acres m/l, with room to grow! Nice old fashioned covered porch welcomes to large living room., gleaming hardwood floors & vaulted ceiling. Kitchen has new ceramic floor, wood cabints, and lots of counter space. The Dining room opens to Living room & Kitchen. Converted back porch is now a new sunroom, HT/AC w/hardwood floor, fenced yard for kids & pets. shop w/concrete floor & power, carport has storage room. Near schools, shoping , and medical & no restrictions on this tract of land. 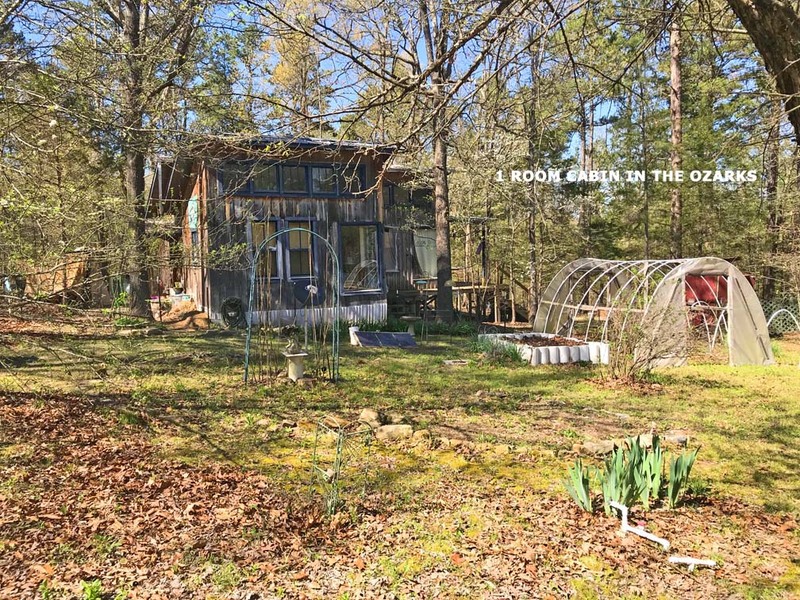 This custom built almost new 2 BD 2 Ba one story over a full walk-out basement home is located on 3.7 acres of mostly wooded rolling land halfway between Gainesville and Theodosia. Bull Shoals Lake is ten minutes away. The setting is secluded and the view from the house and large deck is beautiful. There's an open floor plan with a vaulted ceiling and cent h/a., attractive wood siding, a steel roof, and a 20' x 26' carport near the house. A new private well and septic system are included.High quality construction. The same for the well and septic system. The emphasis here is on a country setting. Some excellent near new furniture in place can be bought separately.